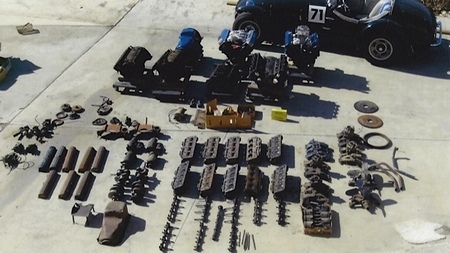 West Coast Allard friend and Kurtis racer Joe Harding is clearing out his stock of 50’s era Cadillac engine parts. If you are interest in anything, contact him at Bubbree@aol.com. The parts are located in the LA area. Some of the heads are 390's, they have rocker shafts with them and will bolt straight to 331 blocks for a lot more power. The rocker shafts go with the 390 heads. Intake manifolds with carbs 1949 – 1956 from $100 to $2,000 for a complete original tri-power set up.